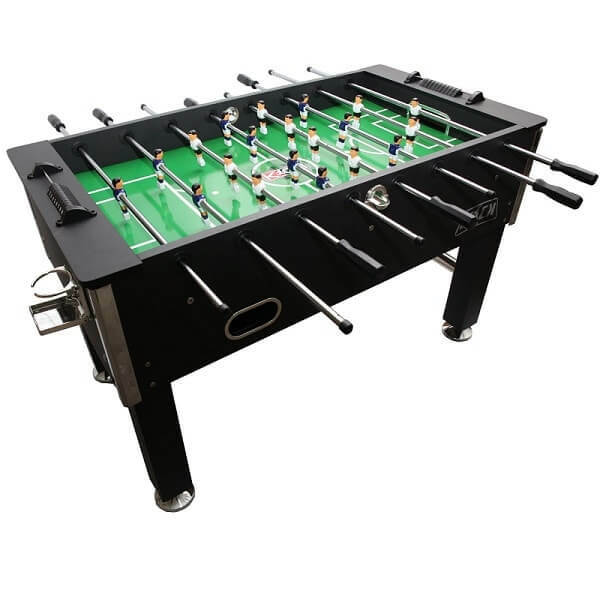 We’ll review the Kick Triumph Foosball Table, which is one of the top of the line tables offered by Kick. It’s one of their most expensive tables, but is obviously still backed by their industry-leading lifetime warranty, making this an intriguing buy. 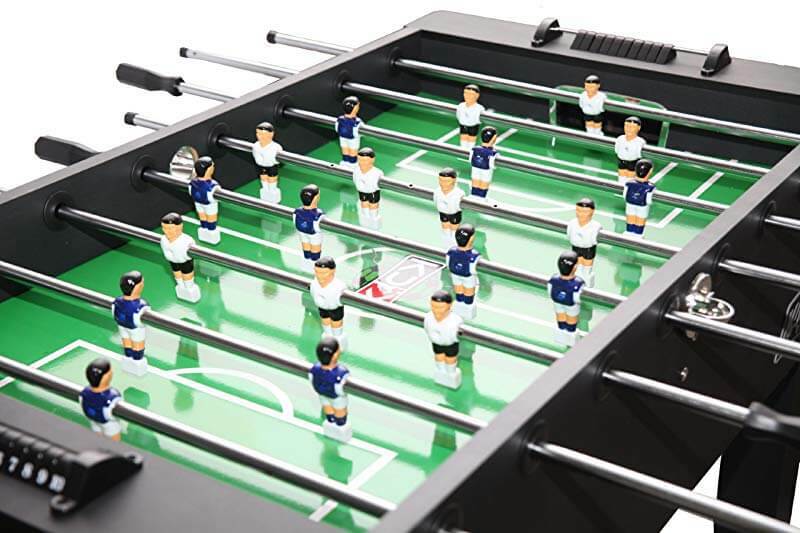 We actually rated this as our #12 overall table in our review of the best overall foosball game tables here. With the added convenience of being able to play in a 1 or 3 goalie formation, this is a great mid-level game with some decent features such as counterbalanced men, a fairly thick play surface, cup holders, and side-of-table ball returns. One of their highest level tables, the Kick Triumph delivers a very good quality of game play at a reasonable price, and of course you’re backed by their incredible lifetime warranty. However, you may need to use the warranty, as there have been a few defects discovered in some players’ games. But, it’s nice that you don’t have to pay out of pocket to get something fixed. Their customer service is also good and responsive, and usually ship out replacement parts within a day or two. The rods and bearings are notably good and thick, and the main parts are definitely built to last. For a decent, mid-level table, the peace of mind you get with Kick’s warranty may be enough to get you to pull the trigger on this one. It has good pro-level features like counterweighted men, cupholders, scoring units, side ball returns. It is also fairly well made and sturdy enough for a good mid-level table. While we rated a lot of tables ahead of this one, if this is the one you’ve got your eye on, I have no reason to deter you from making a purchase. It really is a good overall buy!